For those who hold down on the anchor button, Google says it will trigger the native share feature of the browser being used. With Safari, that means easy access to things like Twitter or Facebook. 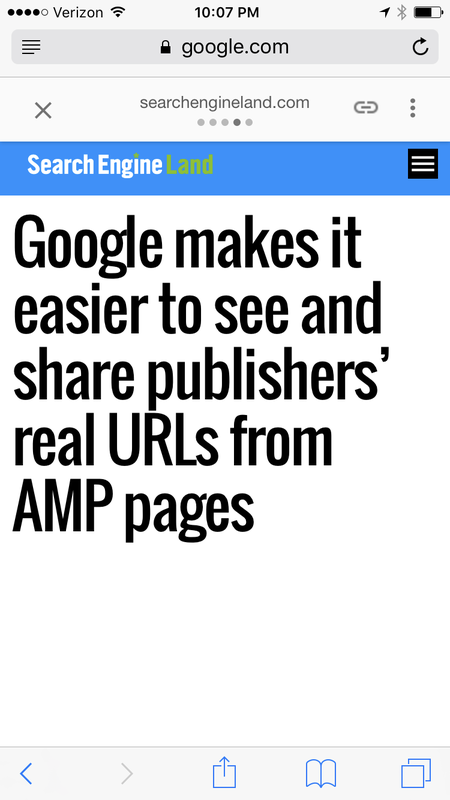 With Chrome, it lacks native share, so nothing should happen. Better than nothing (which is what we had before), but weak sauce nonetheless.